It was an extremely windy day with people being blown over every where you looked. 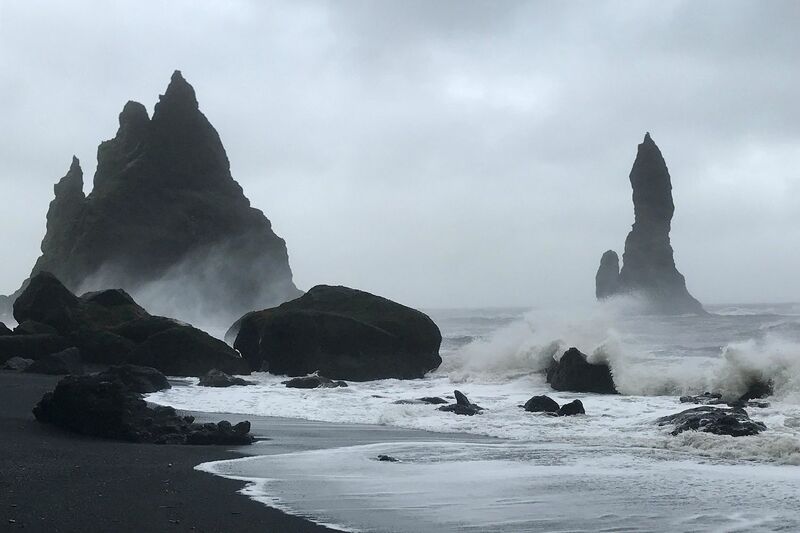 It was quite a challenge taking the Reynisdrangar Basalt Sea Stacks at Vik, Iceland as the wind kept blowing the black sand all over the camera. It did make for dramatic photos though especially the waves hitting the sea stacks.